2nd Tuesday of every month at 7.30pm. Our meetings are held in Room 1 at the local Community Centre on the second Tuesday of the month and commence promptly at 7.30pm. Founded in 1954 we are a traditional WI with a membership of up to 95 members. If you are interested in joining our WI we welcome you to attend two meetings free of charge with the exception of our Birthday Party (March) and our Christmas Party (December). Depending on the current number of members you may have to be registered on our waiting list. A programme of speakers is arranged to offer a wide variety of subjects and fascinating information. A monthly competition is held whereby points are awarded to the best three entries; at the end of the year the member with the highest number of points receives a cup and a gift voucher. To raise funds towards our social programme we run a monthly raffle. At the end of our meeting members have the opportunity to chat with one another over a cup of tea. 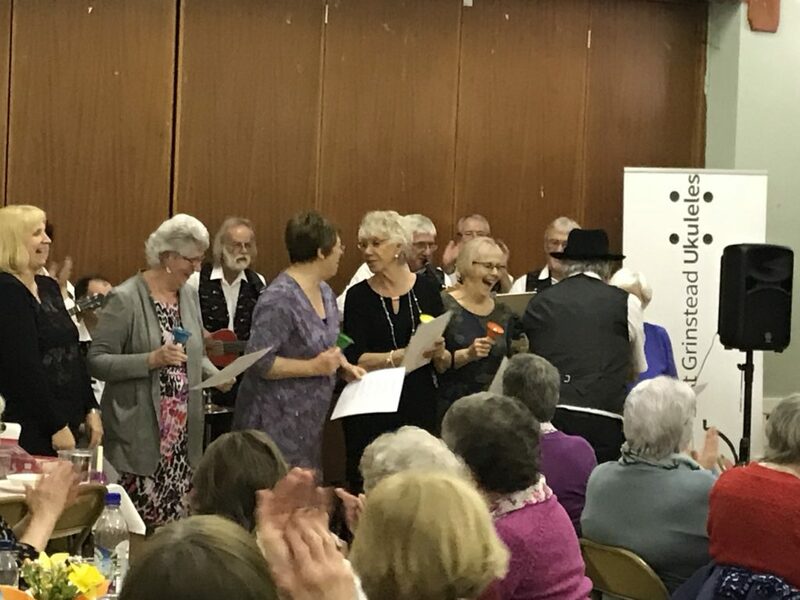 In addition to our meetings we arrange a social programme of events, for example last year we arranged trips to the theatre, a bursary trip to Rochester with a historical tour of the city and a visit to the London Postal Museum. 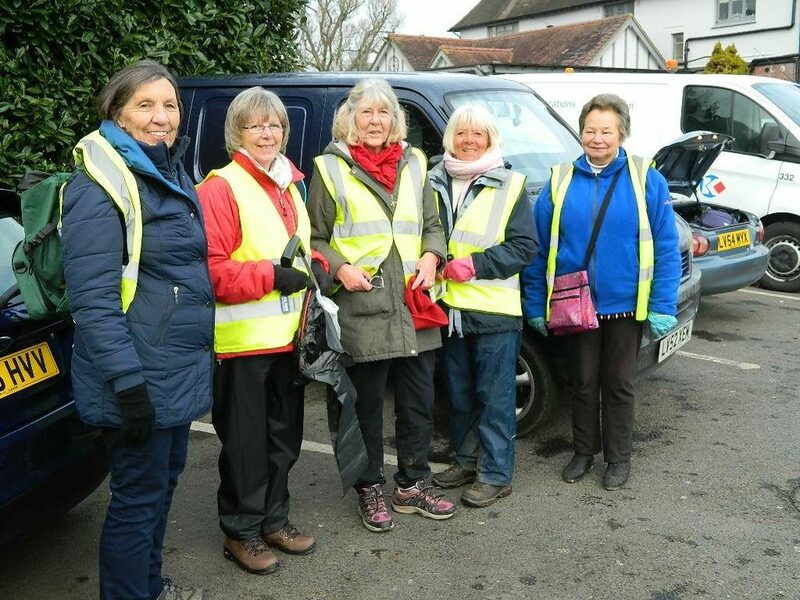 Regular activities on offer include a regular local walk on a Monday morning, a coffee morning (1st Tuesday of the month) and a lunch at different local restaurants (usually the last Friday of the month). For those who like reading we have a Book Club and there is Craft Group. We provide a tea tent with refreshments on Sussex Day (16 June) and also at the Town Council’s Fun Day which is held in July. On the August bank holiday we organise and man the Cake Stall at the Crowborough Hospital Fete; the cakes and confections being supplied by our members – all funds going towards The Friends of Crowborough Hospital. We encourage our members to engage in Federation activities such as the South of England Show by providing cakes for the refreshment tent and stewarding of WI exhibits. Also to attend the meetings and workshops which are on offer as this is an opportunity to meet with members from other local WIs. 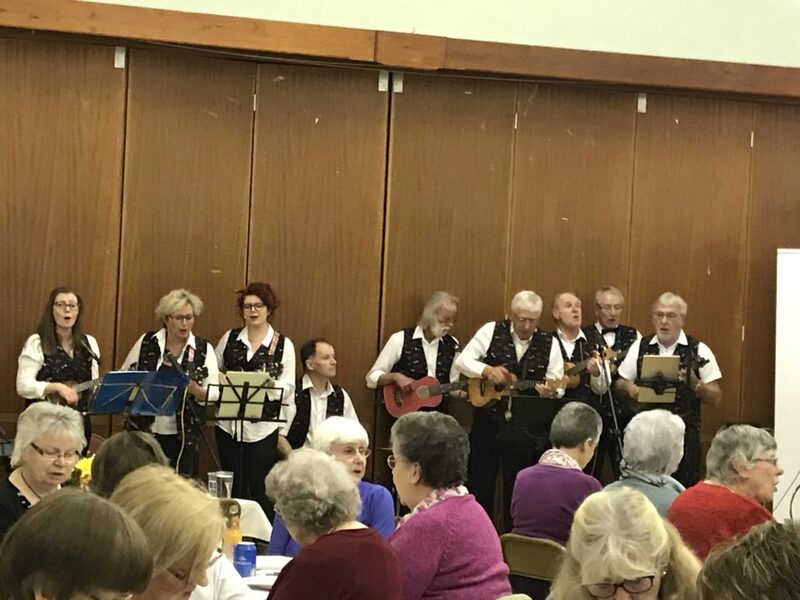 Here are some pictures of our 64th Birthday Party – entertained by the East Grinstead Ukulele Band and some of our members playing hand bells.